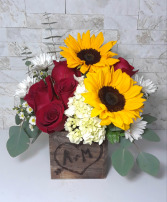 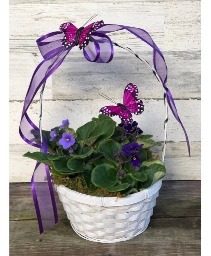 For something totally unique why not surprise them with this arrangement in a metal trim wood box. 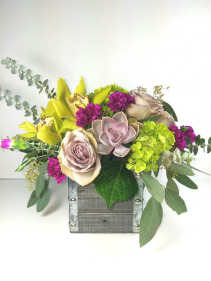 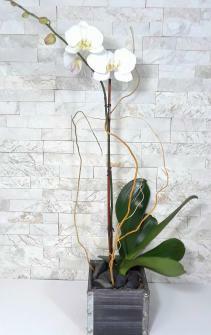 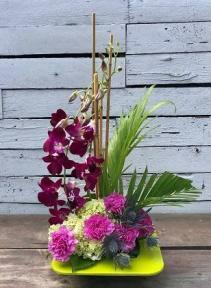 Designed with lavender roses, green cymbidium orchids and a succulent with beautiful accents. 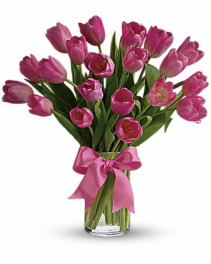 Beautiful and "simply said" light pink tulips are a hip way to show you care. 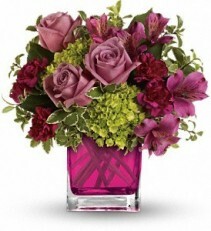 Deluxe: Twenty light pink tulips arranged in a clear glass vase. 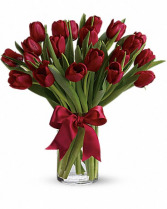 Premium: Thirty delicate light pink Tulips arranged in a clear glass vase. 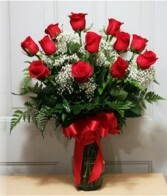 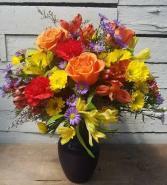 Rose Garden Florist Is Happy To Serve You! 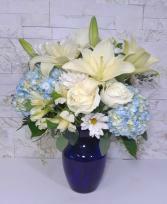 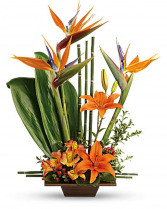 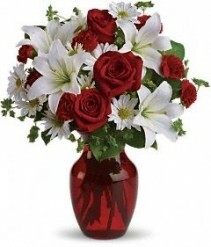 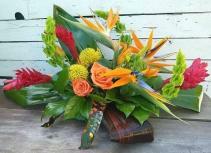 We specialize in fresh arrangements, weddings and corporate events. 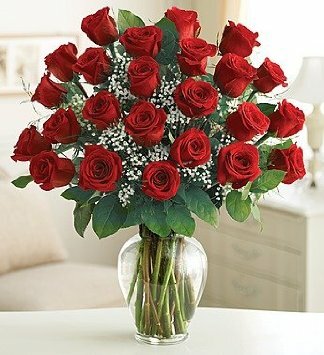 We carry a large selection of roses, lilies, orchids, sunflowers and more for birthday arrangements, get well and sympathy flowers. 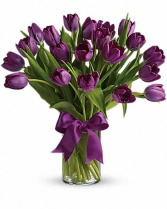 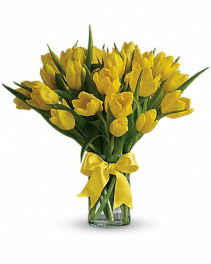 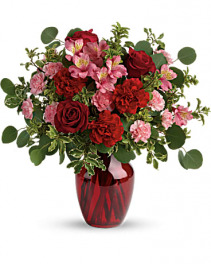 Send beautiful flowers to someone special today.